BEAUTIFUL 1520 sq. 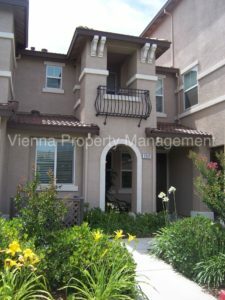 ft, 3BD/2BA 2 Story condo in Foskett Ranch. Close to schools and parks. Small playground within the community. Open, spacious kitchen has Granite Countertops, Stainless Steel sinks & (Gas) stove top/Oven, microwave, dishwasher, garbage disposal. Combo Living Room & Dining Area with high ceilings, Ceiling fan & recessed lighing. Attached 2 car garage.